Lisa Schnellinger’s 30-year career has taken her across continents as a writer, photographer, and journalism trainer. She has published a wide range of work in US and international publications, from highly textured abstract photographs to investigative reporting and travel essays. Photography has always been entwined in her career, and in recent years has become her primary medium of personal expression. Lisa maintains an exhibit space at Full Circle Solutions in downtown Jasper, Georgia. She is a board member and web site editor of the Pickens Arts and Cultural Alliance, and is a member of Sharptop Arts Association in Jasper, Mountain Arts Association of Hiawassee and Big Canoe Artists Group. Training journalists in emerging democracies has been a major part of her work since 1991. Lisa has conducted workshops, coached and mentored hundreds of individuals in 20 countries on every aspect of written and visual journalism, and lived in Afghanistan, China, Dubai, Fiji, and Timor-Leste. She also backpacked solo in Africa, the Middle East and Asia. In Afghanistan, Lisa was a founder and continues to act as an adviser to Pajhwok Afghan News, a national Afghan-owned news agency (Pajhwok.com). Pajhwok grew from a small project which trained Afghans who had no previous experience in independent media, to a well-known news agency of more than 130 Afghan staff who cover the entire country. Lisa’s work overseas makes her very aware of how our perception of people and places in the news can be distorted. Coupled with her education of Americans is a personal effort to help educate Afghan girls. 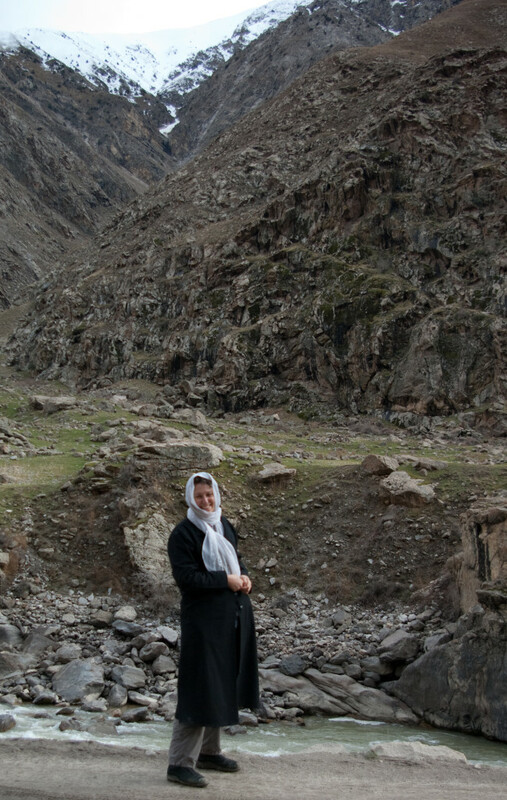 Since 2003, Lisa has raised funds to build and support a girls’ school in a village southeast of Kabul. In the past year this project added a library and Lisa is now raising money to finish furnishing it and filling the shelves. Lisa sells handmade scarves, soaps, purses and other handicrafts made in Afghanistan and donates all the proceeds to the girls’ school. The belief in information and education is key to this exhibit. “We feel our work is essential to democracy – for Americans and Afghans – so that citizens can make informed decisions,” Lisa says. Lisa earned a Bachelor’s degree in journalism from Kent State University (Ohio) and Master’s degree in International Studies from the University of Washington.